Presidential hopefuls from the opposition Kuomintang (KMT) are discussing their plans for next year’s presidential election in January, 2020. 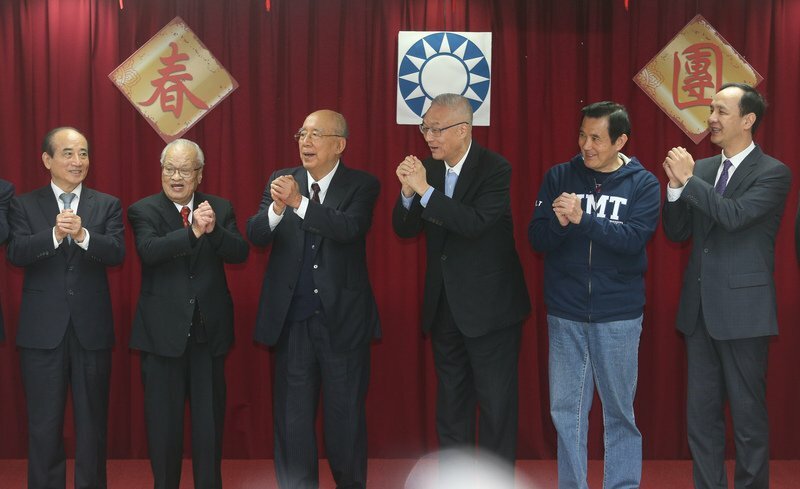 Several influential members of the party made a rare joint appearance at KMT headquarters on Monday to mark the first day of work in the Lunar New Year. Incumbent party chair Wu Den-yih, former President Ma Ying-jeou, former New Taipei Mayor Eric Chu, and former Legislature President Wang Jin-pyng were all on hand. Of those four senior KMT members, only Eric Chu has announced his candidacy for president. He said he hopes the party can choose a candidate as quickly as possible to allow more time for preparation. KMT Chair Wu Den-yih said, though, that the primaries will proceed according to party guidelines. When asked about his own potential candidacy, Wu said he will make an announcement when the time is right. Former Legislature President Wang Jin-pyng mirrored Wu’s sentiment on following the rules. He also said he will confirm his candidacy within a month. Meanwhile, former President Ma Ying-jeou, who served as president between 2008 and 2016, did not make any comment about whether he plans to run.